Champs bar played away against Red Light. Red Light and Champs bar get along well but when the pool balls are rolling things become just a little bit more serious. Andy, Gwen and Scott all playing for Red Light won their singles and doubles games. However, Gus playing for Champs bar did the same. The beer leg was a two-setter and also won by Red Light; even an old frog who transformed himself into a princess could not help that. Red Light won the night with a score of 8-3. Natalie played at home against Kiki Sports Bar. Natalie bar always playing in the top of PPL had a small dip but have come back strongly in the past few weeks, and this week Natalie won all games bar one against Kiki. Only William playing for Kiki was able to win his single match. The beer leg was also won by Natalie, and Kiki were defeated 10-1 overall. Martin Swiss played away against Genius. Martin Swiss started well and Martin as well as Norbert won their singles and doubles games. However Preaw and Shane both playing for Genius also won their singles and doubles games. The beer leg was a three-setter and won by Genius, who also won the evening with a 7-5 result. Simon and Oil played at home against Happy End Bar. Simon and Oil started well, as did Luke and Reed, who won their singles and doubles games. Happy End did not have a good evening but eventually were able to win the beer leg in three sets, which made the evening little bit more pleasant. Overall, however, Happy End still lost against Simon and Oil by 7-5. Kwan’s Birdie team played at home against Caddy Shack. Caddy Shack is leading the PPL but has played one game more than Kwan’s Birdie, so this promised to be a very exciting match. Only Ricky playing for Birdie was able to win his single and double games, but all other points were shared. The beer leg was a three-setter and won by Kwan’s Birdie, who also won the evening with a score of 7-5. The PPL has still four weeks to go and Caddy Shack are still leading the league, but Kwan’s Birdie has one game more to play. Both teams cannot afford a misstep the coming weeks. 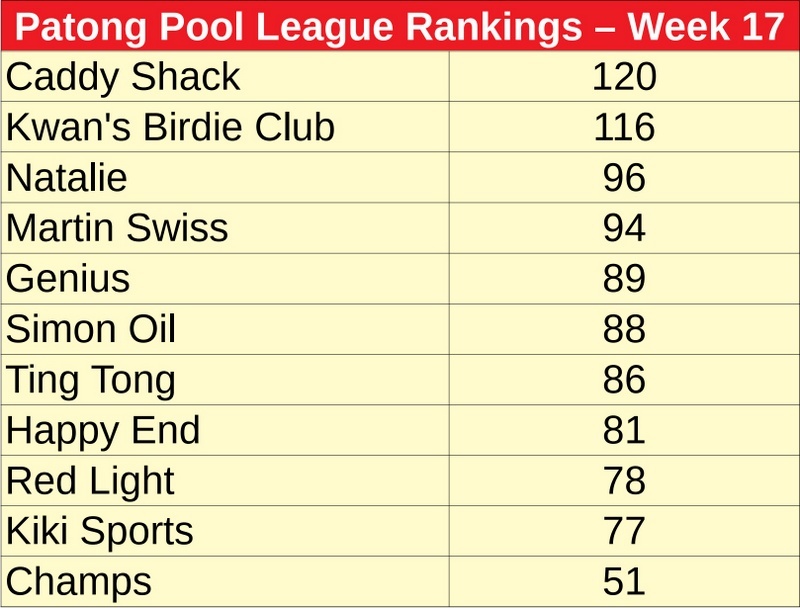 The 18th round of Patong Pool League will be played on this Thursday (Mar 14). 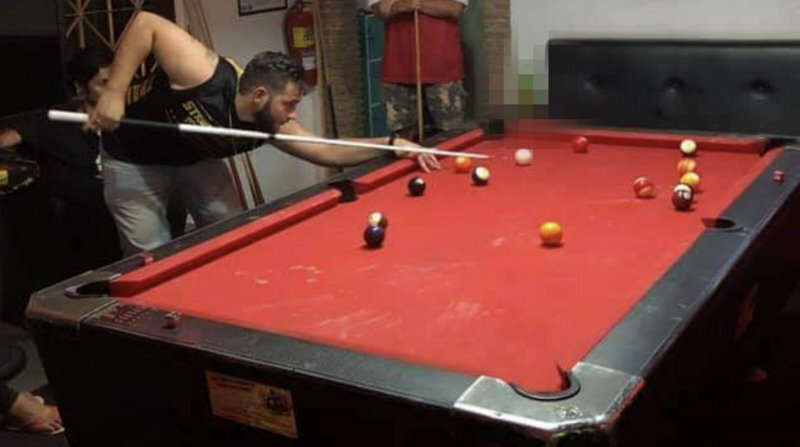 People interested in playing as well as visitors are all welcome to attend at one of the 11 participating bars. Visit the Patong Friendly Pool League Facebook page.